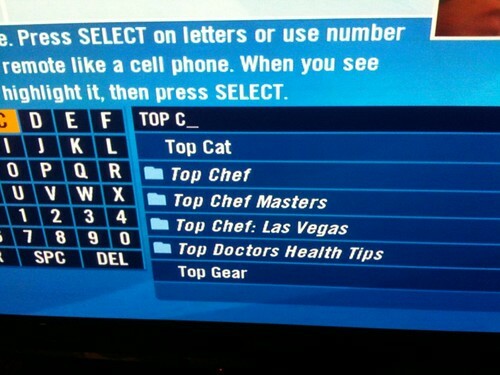 DVR, Where Have You Been All My Life? We are all busy people. We have family and friend obligations, we have jobs to go to – full-time, part-time or freelance – and if you don’t work, if you have a disability you’re likely still busy or feel so at least. Having a disability can do that to you. We have appointments galore. Doctor’s appointments, therapist appointments, wheelchair appointments and don’t get me started on having to stick to a daily PCA schedule, which you mine as well call an appointment too. Our days go just as fast as yours, and many of us don’t even have kids. My disability is like an insolent child I must constantly tend to anyways. Having an actual kid would certainly do me in. It really would. My days can be rough. There are good days and bad, this is why I’ve fallen in love with my new friend. She tells me fabulous stories and keeps me entertained and she’s there whenever I need her; like a true best friend should be. Only problem, my new friend doesn’t have a voice or ears to listen with, but no matter, as long as she’s there everything is peachy. I’m speaking of course of my DVR; my Directv + DVR receiver to be specific that has totally changed my world, well at the very least changed the way I consume media. Everyone seems to be going crazy for Hulu lately, cutting off their cable ties for good, but DVR to me could never be replaced by something like Hulu. TV has blossomed in the last 6 years and I’m all about it. On my TV and yes, even the commercials (some of them). Each morning when I wake up or at night after work, I’ll check my DVR to see the list of what it’s recently recorded. It’s like a present to unwrap each time you hit the “Guide” button. It’s awesome, and I won’t lie – I’m all about simple pleasures in life. Who isn’t? Cheap entertainment. I can’t remember the last time I went to the movies. That is how much my little living room DVR machine has changed my world. My shows set to record of course run on the feminine side of things: Fashion Police, Chopped, Project Runway, Downtown Abbey, Reign, Long Island Medium, House Hunters, Millionaire Matchmaker. But they’re also loved by all sexes too: Treehouse Masters, Pawn Stars, Comic Book Men, The Walking Dead, The Haunting of…, Oddities, The Dead Files and even (guilty cringe) Duck Dynasty. What can I say? TV has become exponentially better. Maybe it’s because people my age are finally making the content decisions at the networks I adore (eh-hem Vikings on the History channel = brilliant). There is just so much good to watch. If you were to get really sick with a long-term illness that required lots of bedrest, right now would be the time. Helloooo DVR in bed. Of course all of this DVR talk makes me sound dreadfully boring, and maybe my life isn’t as exciting as it once was (getting older will do that to you), but I’m ok with that. Again, another likely sign I’m getting older. What’s my DVR recording again? I think the beauty of the DVR as a person with a disability is simply how it records everything you love, taking the stress out of live viewing, which can be so hard when you have a disability. Who has time to think about this kind of stuff anymore? No, we need our TVs to remember this for us. Just know, if you’ve been deathly curious of DVR for years but have never made the switch, now is the time. I rent my DVR receiver for only an additional $10/month and it’s worth every penny; every hay penny even. Screw handguns; you’ll have to pry my DVR from my cold, dead hands. Are you a DVR fan or could you care less?